Zenit St. Petersburg defeated Khimki Moscow Region on the road, 86-82 (15-22, 21-16, 25-26, 25-18). 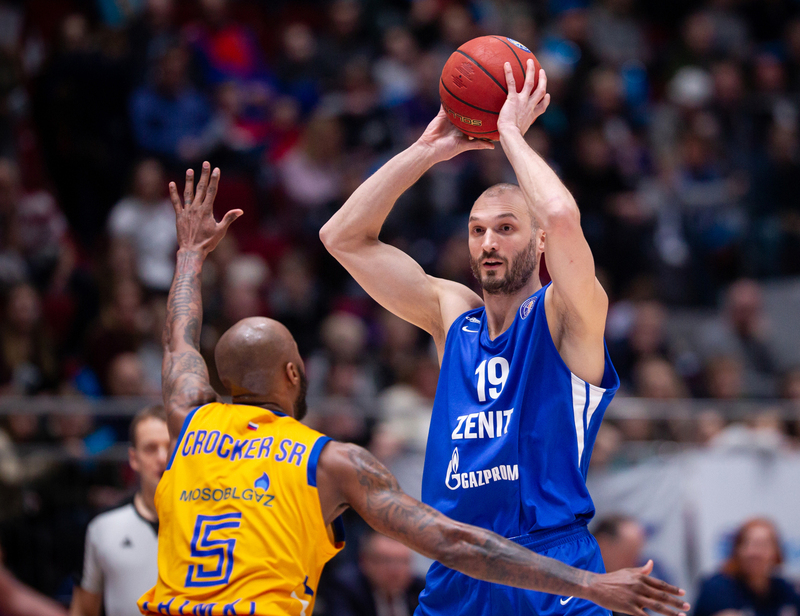 Zenit overcame a slow start to upset 2nd-ranked Khimki and notch its fourth-consecutive victory in the League. St. Petersburg was led by Marko Simonovic’s 22 points (4-6 from beyond the arc), including a huge go-ahead triple in the final minutes of the game. After Jordan Mickey single-handedly erased a 79-72 deficit, tying the game at 79-79 on a dunk with 3:22 remaining, Simonovic answered with a clutch 3 at the other end and the home team never trailed again. Khimki was in 2nd place entering Sunday and led by as much as 10 points in the 1st quarter (20-10). 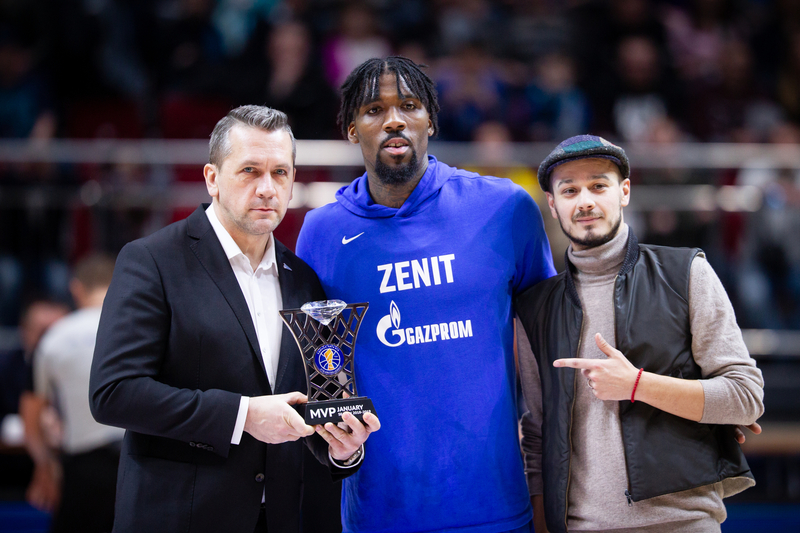 Zenit stormed back with a 15-2 run, including the first 10 points of the 2nd quarter, highlighted by back-to-back 3’s from Sean Armand and Marko Simonovic. The score stayed close until midway through the 4th when Philip Scrubb and Jarod Uthoff broke a 72-72 tie with consecutive 3-pointers and St. Petersburg went up by seven. Mickey tried to rally the visitors, but it was not enough as Zenit hung for a second-straight win against a top-two team. After falling to 5-5, Zenit is now 9-5 and only half a game behind Lokomotiv-Kuban for 4th place. Khimki drops into a tie with UNICS for 2nd place at 12-3. 1 – Zenit is the only team in the League with wins over Khimki and CSKA.